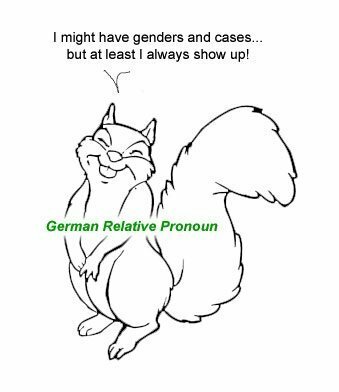 omitting relative pronoun german | German is easy! In the first part (find it here), we learned a bit about relative clauses in general and in English, just have some sort of background. And then we learned the basics about how it works in German. German uses definite articles as relative pronouns. Like… all of them. Today, in a sort of Q and A format, we’ll talk about the finer details and flesh out some differences to English that lead to a lot of mistakes. Sounds good?